Join our mailing list for updated information. Educational Superstars can assist you whatever your educational need by offering sound advice, wisdom and expertise. Educational Superstars prides itself in providing outstanding private and personal tuition in the Blackpool, Wyre and Fylde area including Poulton-le-Fylde, Lytham St Annes and Thornton Cleveleys. Specialist assessment is available for children and adults who may have Dyslexia, Dyspraxia (DCD), ADHD, and Autism (ASD). In addition another specialism is teaching English as a Second Language (ESOL) for those who are speakers of another language. Outstanding teaching has achieved amazing results for pupils and students over twenty five years, across a range of ages and abilities. Private and personal tuition is on an individual basis using tailor- made teaching strategies, a multi-sensory approach and specialist resources. Starting from early years learning of reading, writing, spelling and maths, Educational Superstars covers all SAT’s examinations for all abilities. Entrance Examinations for local Independent Schools including Kirkham Grammar, AKS (ARNOLDKEQMS), Rossall and Lancaster Grammar which have successfully resulted in many scholarships being awarded. Amazing results have been achieved in GCSE’s, notably in English Literature and English Language, following close liaison with many local mainstream schools. Similarly, at university level, numerous students have attained 2:1 and 1st Class Honours degrees as well as PGDE’s for teaching, MA’s and PhD’s at Post Graduate Level at a range of universities in the North West. In addition, Educational Superstars seeks to assist speakers of English as a Second Language to successfully pass their British Council IELTS Tests in speaking and listening, reading and writing. Educational Superstars is also a member of PATOSS (Professional Association of Teachers of Students with Specific Learning Difficulties) and the British Dyslexia Association and carries out full assessments for Specific Learning Difficulties, Dyslexia and Dyspraxia (DCD) to assist in getting help and advice in schools, colleges, universities and in the work place. Assistance with unfair dismissal claims under the Disability Discrimination Act (2005) can also be given. 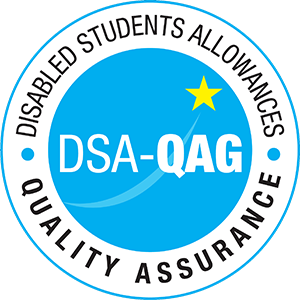 Disabled Student Allowance Reports (DSA) are also undertaken on request, in addition to screening for Irlen Syndrome. The mission of Educational Superstars is for pupils and students to improve their communication skills and learning abilities so that they may reach their full potential, by developing a level of excellence which will lead to outstanding results in their studies and improve their lives. Home visits may be arranged to suit your individual requirements. Home schooling may also be arranged on request. Please click here to contact us today to discuss your requirements. Excellent GCSE results - A*’s. 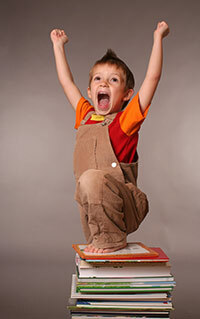 Personal Tuition: How can it benefit your child? Educational Superstars is now a Registered Provider of Non-Medical Help with DSA-QAG. Educational Superstars has been accepted under a new scheme to appear on the data base of Quality Providers of Non-Medical Help in the Further and Higher Education Sector. The DSA-QAG initiative is a recent innovation and includes a data base of all approved suppliers of Non–Medical Help. This means that Educational Superstars is committed to providing high quality teaching and support, on a one to one basis, to students with Specific Learning Difficulties, notably dyslexia, dyspraxia (DCD), ADHD, Autism (ASD) and Irlen Syndrome. We are also able to offer one to one academic support sessions to students with a wide range of disabilities, including mental health conditions. Because Educational Superstars is a member of this scheme we can offer quality Specialist One to One Study Skills Support Sessions. and advice to all our clients. ## Click on the Logo to view our rate card. Please note that these rates apply to Higher Education students only. For all other rates please contact us.